It is not everyday you get a writer whose heritage spans three continents but that is what you have with Shailja Patel, a Kenyan-Indian-American. Her words are dark, deep and hypnotic on all levels of human sensibility and reasoning. Patel’s words are so potent, they transpose you intellectually, mentally and emotionally to a different place and time. If the Milky Way was reachable by way of mind and thought, Patel takes you right there with this debut poetry collection, Migritude. 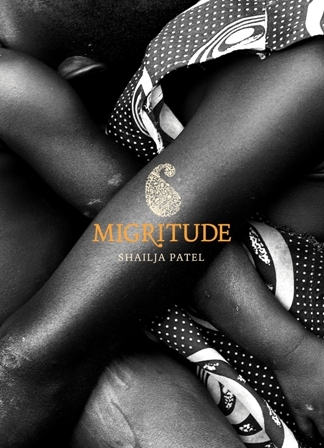 A word she coined from the words, ‘Migrant,’ ‘Attitude,’ and ‘Negritude.’ Part memoir, part political history, part performance tour-de-force, Patel weaves together family history, reportage, and monologues of migration, violence, colonisation and love, which creates an aching and beautiful portrait of a migrant’s journey. Inspired by a box of Saris her mother has been saving for her since she was a child in the hope that it will one day be her wedding gift, Migritude is Patel’s gift to the world for she remains single. Patel leaves nothing untouched, radical enough to ensure her narrative includes political truths such as the role of the British and US governments, who supported Idi Amin to take over the government of Uganda, when he did. Migritude does not disappoint. This entry was posted on Tuesday, April 12th, 2011 at 12:27 am	and is filed under Africa, Book Reviews, Journalism, People, Politics, Women. You can follow any responses to this entry through the RSS 2.0 feed. You can leave a response, or trackback from your own site.